The Challenger Learning Center of Richland County School District One is an aerospace-themed educational program designed to provide interactive learning experiences, integrating science and math curricula with information and technology. Through various simulations, scenarios, and activities we offer, students develop skills in decision making, teamwork, problem solving, and communication. By engaging students in dynamic, hands-on exploration and discovery opportunities that strengthen knowledge in science, technology, engineering, and mathematics, the Challenger Learning Center inspires students to pursue careers in these fields. We follow Richland One’s calendar. Teachers, do you want to earn your Remote Pilot Certificate? We have a test-prep course to help! Richland One teachers, please register for course #21823 in TrueNorthLogic. Non-Richland One teachers, please click HERE for registration information. If you would like to receive updates from the Challenger Learning Center of Richland One, please subscribe to our mailing list. As a leader in science, technology, engineering, and math (STEM) education, Challenger Center and its international network of more than 40 Challenger Learning Centers use space-themed simulated learning environments to engage students in dynamic, hands-on opportunities. These experiences strengthen knowledge in STEM subjects and inspire students to pursue careers in these important fields. The Challenger Learning Center of Richland County School District One is part of the global network that reaches hundreds of thousands of students and tens of thousands of teachers each year. Founded in 1986, Challenger Center was created to honor the crew of shuttle flight STS-51L. 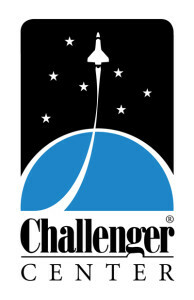 To learn more, visit www.challenger.org.